Use sight word flashcards in addition to teaching sight words from the books you’re already reading with your child. We want the words to be meaningful to your child. When you point out a sight word such as “I” in a story you’re reading, your child sees how the word is used. It’s part of a story and has more meaning than if it’s isolated on a card. When your child is about 4 years old, you can start introducing sight words, but it really depends on the child. Some children might be ready at 3 years, some at 5. Print the Kindergarten Sight Word Flashcards. Print them on card stock, or glue them onto card stock to make them sturdier. Using books you’ve been reading, introduce one sight word at a time. You might introduce one new sight word every few days. Pull the word, “like”, for example, out of a favourite book. After reading the story, show your child the word “like” on the page. Say: This is the word “like”. Ask your child to point to another “like” on the same page, or on another page. Then show the flashcard with the word “like”. Show your child that this is the same word as in the book. Say the letters: l-i-k-e, like. Run your finger under the word left to right as you read it slowly. Build up a bank of sight words over a periods of weeks or months. Make sure to review the words that have been learned frequently. It might take a while to really learn them. That’s okay. Punch a hole in the cards and tie them together with a string or use a ring. There are great techniques such as “See and Say”, “Arm Tapping” and “Air Writing” for teaching the sight words from Sightwords.com. Check it out! My Super Hammy books from DC Canada Education Publishing are perfect for learning the important sight words! Available as a boxed set of 15 or individually. 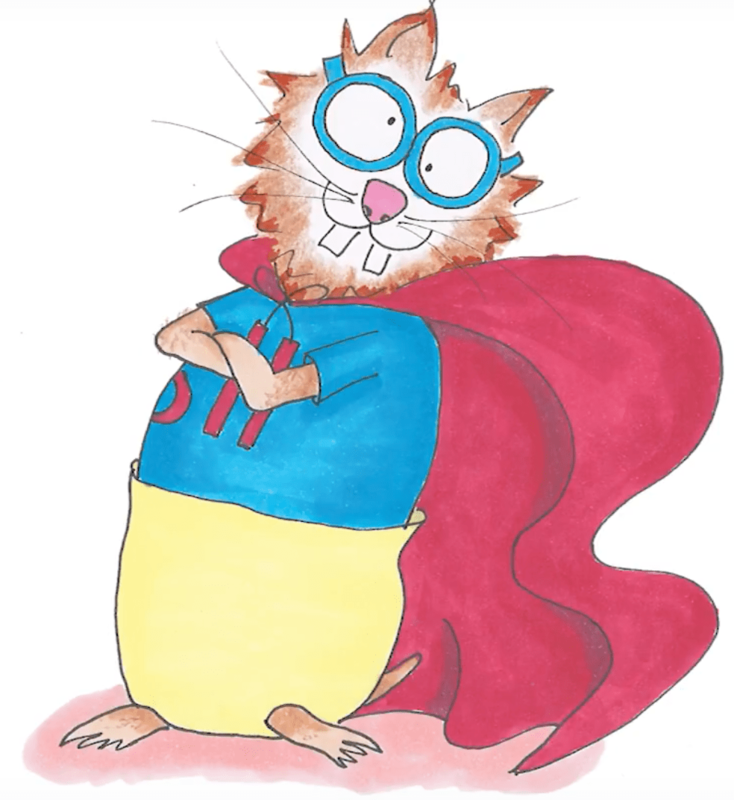 Coming soon: Super Hammy ABC from DC Canada Education Publishing. Thanks, Malissa. Glad you can use them. All the best.